Choose to study politics at university, and you’ll find out about the theories and practices of power and governance, from local up to international level. Whether you want to make a difference within national politics, pursue a career in international relations and diplomacy, or join the ranks of those campaigning for change or reporting on political issues worldwide, a politics degree could be for you. What do politics degrees cover? Politics degrees are likely to include examination of past and current political conflicts; different models and mechanisms of government; concepts such as freedom, equality and human rights; and ideologies such as communism, anarchism and liberalism. Sounds like a lot to take on, doesn’t it? But after all, politics affects every aspect of human life, from the mundane (how often your rubbish is collected) to the philosophical (individual freedom versus ‘greater good’). As a politics undergraduate student, you’re likely to study the work of influential historical figures in the field, such as Confucius, Plato and Machiavelli, and more recent theorists such as Karl Marx and John Rawls. When you study politics, you’ll also look at the more practical side of the field – how different political systems work (or break down), the impact of developments such as new technologies and mass media, and the role of international political organizations and alliances such as NATO and the UN. You may also choose to study politics as part of a joint course or double major, with popular accompaniments including history, philosophy, international relations and economics. Exact requirements will vary depending on the university to which you apply. Some universities will identify subjects which they recommend students to study before applying for a politics degree. These will typically be humanities and social science subjects such as economics, history, geography, modern languages, philosophy and sociology. In other cases, the university will simply set requirements based on grades, rather than specific subjects (such as ‘AAB’ for those completing UK A-levels). Applicants will be expected to explain their motivations for applying to study politics, and demonstrate an awareness of current political issues and potential careers in politics. Depending on your chosen university and course, you may also need to provide a certificate in language proficiency. Undergraduate (bachelor’s) programs usually last for three or four years, while master’s courses last a year or two, depending on the country. Course teaching consists mainly of lectures and seminars. Students are expected to participate in discussions and debates on relevant political topics, as well as spending a significant amount of time pursuing independent research and reading. Towards the end of your course, students will research and write a dissertation exploring a relevant issue in depth. Assessment throughout the course will be based on written and oral exams, essays and other coursework. Politics degrees may vary considerably between universities, with different modules and specializations available. If you don’t see your area of interest listed in the course syllabus, it’s worth checking to see whether it’s covered under a different title, or if there’s scope to pursue individual interests in a dissertation or other independent project. Below is a list of some of the most popular politics topics you may choose to specialize in. If you choose to specialize in development politics, you’ll explore the role of politics in social and economic development, including both national and international policies. You’ll examine case studies from different countries at varying stages of development, and learn to critically analyze relevant theories and strategies which aim to support development through policy. You may assess issues such as the role of international aid or grassroots-led development; the challenges of planning and managing development; and regulations in areas such as foreign direct investment. Specializing in democracy and elections will appeal to students who are interested in issues such as party and non-party engagement, relationships between the elected and the electors, and the normative foundations of democracy. If you choose to study democracy and elections, you will also learn about different aspects of formal and informal politics, and the different processes which take place in the government of a democratic state. The field of international politics, or world politics, focuses on politics at global level, looking at diplomatic, trade and other relationships between nations, and the role of official organizations such as the World Trade Organization, the United Nations and the European Union. You will most likely cover issues such as development and inequality; national security; foreign policy; diplomacy; politics and religion; politics and environmental issues; economic and financial crises; migration and cultural identity; and human rights. Depending on the curriculum offered by your university, it may be possible to specialize in studying the politics of a particular country or region – for example the national politics of France or the regional politics of the Asia-Pacific area. This may involve examining the historical development of governance in that country or region, as well as current electoral and legislative procedures, and contemporary political challenges. As you’d expect, the field of peace and conflict studies is the study of politics in relation to national and international conflicts, and strategies for avoiding or resolving conflict. Again, this is likely to involve elements of theory, as well as critical examination of recent and ongoing conflicts. You will attempt to understand the causes of conflicts, their wide-reaching effects, and most importantly, how to prevent them from escalating. Common politics topics covered here include risk analysis, negotiation, mediation, peace-keeping and different types of diplomacy. If you choose this specialization, you will most likely participate in simulation exercises. A specialization in public policy means focusing on the processes by which various types of policies and regulations that affect members of the public are created and enforced. You’ll learn about the various executive, legislative and administrative processes involved, learn how to analyze policies and conduct relevant research, and gain a broader understanding of the economic, political and social factors to be considered. You will also have the opportunity to specialize in a particular field of public policy, such as urban policy, economic policy, health policy or environment policy. Other politics topics you may focus on include comparative politics, defense, environmental politics, foreign policy, gender and politics, modern political theory, parliamentary studies, political economy, political methodology, race and politics, security, state and local politics and others. Careers in politics are more varied than you may at first expect, spanning a range of roles in both the public and private sectors, of varying degrees of responsibility, affiliation and public presence. Below are some of the most common careers in politics pursued by graduates in this subject. Mention careers in politics, and this is probably the option most people would think of first. If you decide to embark in a career as an elected member of parliament (MP), you will first campaign to be elected, either as a member of a specific political party or as an independent candidate. If successfully elected, you’ll represent members of your constituency in national government debates and votes; contribute to the development of new policies, laws and amendments; and participate in committees tasked with reporting on a specific issue. As a political assistant or advisor, you’ll be employed by an elected MP or political candidate, carrying out a range of tasks including administration, campaigning, research and policy development. Your role may include responding to enquiries from the media and members of the public; planning and implementing campaigns in the run up to elections; researching existing policy and relevant issues; keeping up to date with current affairs and preparing briefings; contributing to reports and speeches; and managing and collaborating with other members of the politician’s team. Reflecting the many different aspects of government, civil servants can occupy an enormous variety of roles. A career in the civil service means helping governing bodies to develop and implement policies on a daily basis. You may be employed within any branch of the governmental system, including departments, agencies and non-departmental government bodies. Responsibilities typically include contributing to policy development, responding to requests for information from other government departments or members of the public, producing analysis and reports, and managing resources. If you wish to work pursue a career in diplomacy, you need to be appointed by a nation state as an official representative in international relations with another state. This typically means relocating to the country to which you’ve been appointed, where you’ll work within an embassy, commission or consulate, representing your home nation. The tasks involved are highly varied – from involvement in dispute resolution, trade agreements or carbon-emission policies, to arranging events to promote cultural exchange. Careers in politics are also closely aligned with roles focused on the protection and promotion of human rights, in various government agencies, charities, campaign groups and international organizations. Here, you may pursue research and field investigations, as a journalist or report writer. You could be focused on communications and campaigns, helping to raise awareness about human rights issues and abuses. Or perhaps you’ll be involved in the planning and implementation of projects designed to improve conditions for different groups of people. If you enter a career in political journalism, you’ll be dedicated to reporting on national and international political events. You’ll provide analysis of national and international conflicts, controversies, campaigns and debates, and speculate on possible outcomes, motivations and trends. 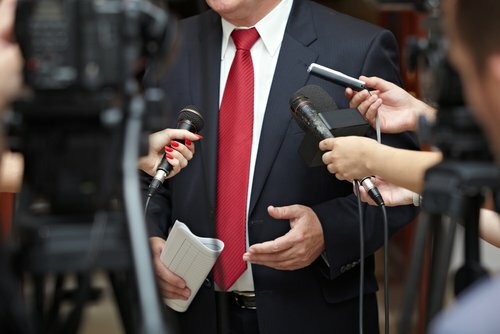 You may work in just one sphere of journalism (print, online, TV, radio), or across several of these, and perhaps even carve out a name for yourself as a well-known and respected commentator in the field. As a politics graduate, you should have a wide range of transferable skills – including strong research, analysis and communication skills – which are applicable in a wide range of professions. Alternative sectors you may consider working in include charities and non-profits, finance, law, public relations and social research.